Despite positive economic achievements in the January-May period, the city leader called for continuing efforts to control market prices and restrain inflation, to maintain stable growth for the rest of the year. Ho Chi Minh City People’s Committee Chairman Le Hoang Quan was speaking at a meeting with relevant agencies on May 27 to review past economic performances and discuss tasks for the months to come. With just a few days left in May, many economic sectors have fulfilled half of their targets set for the whole year – one month ahead of schedule, according to statistics. 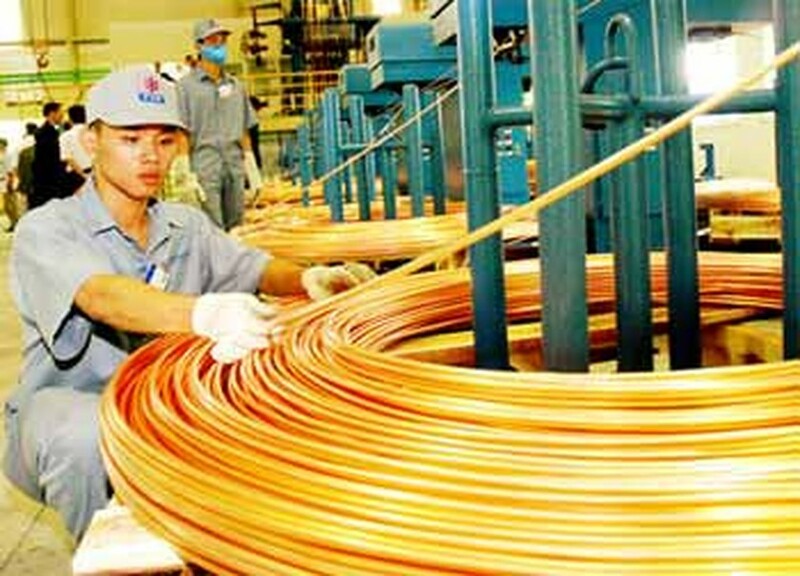 Industrial output in May is estimated to be VND47.33 trillion (US$2.49 billion), up 3.9 percent from the previous month, taking the total output in January-May to 221.25 trillion, up 13.8 percent from a year earlier, said Nguyen Van Lai, director of the city Department of Industry and Trade. Particularly, output from the information technology sector has expanded by 59 percent so far this year, he said. May has also seen the aquaculture industry soar by 40 percent from a year earlier to 2,800 tons of various products. Exported goods, except for gold, have also registered a year-to-year growth of 19.3 percent in the month. Leading in growth for the month of May are export items such as milk, up 29 percent; garments, 13.4 percent; footwear, 10.5 percent; and seafood, 6.6 percent. 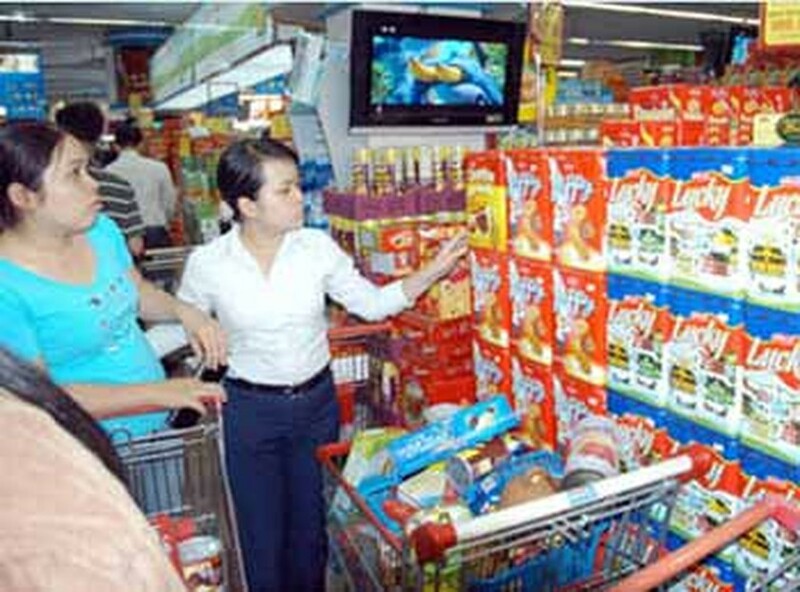 Retail sales of goods and service turnover in May climbed by 2.3 percent from April, bringing the year-to-date total to VND145.6 trillion, up 34 percent from last year. Business establishment registrations in May have risen 7 percent and the total registered capital of newly established companies has surged by 60 percent since last year. The disbursement of capital for public projects in January-May has accounted for 50 percent of the year’s plan, said city Finance Department director Dao Thi Huong Lan. Meanwhile, the consumer price index (CPI) has risen by 4.51 percent so far this year. In May alone, the index has increased by 0.48 percent, higher than the country’s average. Commenting that the CPI may continue rising in the future, Mr. Quan asked relevant agencies to continue strengthening market controls and stabilizing market prices to restrain inflation in June as well as in the rest of the year. He said the authorities would continue using the price stabilization fund next month to support businesses in maintaining the prices of essential commodities. Any violations of price regulations must be strictly punished, he stressed. To avoid troubles to production activities, the city leader asked the HCMC Power Corporation to take more efforts to ensure enough electricity for business. Regarding banking activities, the State Bank of Vietnam’s HCMC Branch reported that the lending interest rate has increased to 13.5-15 percent per year, which many businesses cannot afford. The branch blamed the situation on a number of commercial banks that have offered promotional programs to depositors to boost their input capital. This move has made the actual deposit interest rate rise, leading to a respective rise in lending rates, the branch said. Mr. Quan asked the city Department of Industry and Trade to work with the city Business Association to seek solutions to help businesses get loans they need, especially for technology renovation.